In the summer of 2015, while on a week-long camping trip, we decided the next summer we were going to go on a 5-week road trip pulling our travel trailer. We had been dreaming of doing this for years and had been putting it off because we never had the right towing vehicle or the extra cash to pay for it. As a full-time teacher and fire fighter, we did not have a lot of extra cash each month to set aside. Although we didn’t get raises, something important changed that summer. We looked at our kids having so much fun on that camping trip and realized as they are growing up we have a limited amount of time left with them before the leave our home. If we wanted to make memories with them on these trips, we needed to do it soon. To do this, we knew we needed a better towing vehicle to pull our trailer longer distances and handle the weight of our trailer. We also needed the cash to pay for the trip. Knowing we needed to save so much money was just a little bit overwhelming, but we sat down and came up with a plan. We were determined to make it work … and we did! The first thing we started was using the envelope system (made popular by Dave Ramsey) to pay cash for most everything. We started with 5 envelopes. 1) Groceries, 2) Blaine, 3) Christy, 4) extras, and 5) Kids. We put $200 in the grocery envelope, we each got $50, the kids had $25 and the extras envelope had $50. We actually did away with the extras envelope after some time, because we found ourselves not using this one very much. Most of our bills are paid online straight out of our bank account, so we did not need an envelope for bills. Moving to the envelope system was not easy. The hardest was the groceries, but knowing you only have limited amount of money to spend really makes you think about what you are spending your money on. This is where you really need buy in from the family, mostly the kids. When you are shopping and they pick up that must have toy, you have to remind them you only have the money in the envelope. I am not going to lie, this took a while for the kids to understand, but it was not long before they were reminding each other, “We were trying to save money for our trip.“ Another advantage to this system is that the amount of begging and pleading that always accompanied us any time we set foot in a store decreased dramatically. At the end of the month, whatever was left in the envelope was put back into savings. The envelope system allowed us to put about a $1,000 in savings a month, because we were spending so much less money. Our second step was to build up our cash back bonus on our credit card, which kind of sounds crazy when you are using the envelope system. We have a card that gives a cash back bonus for each purchase and gives a higher percentage for fuel or other purchases at different times throughout the year. We chose to keep using this card to pay for fuel and to just pay it off every month. We also used our credit card for the purchase of items we could buy cheaper by ordering online, but we always set our envelope cash aside to pay the credit card bill when it was due. The key to this is making sure you are able to pay your balance off at the end of each month. It is amazing how fast your cash back bonus accumulates. We continued purchasing our fuel while on our trip with our credit card, and used our cash back bonus balance to pay a portion of our fuel bill. Fuel was one of the largest expenses while we were traveling and the cashback bonus helped when we received our large fuel bill. My favorite thing we did was something everyone in the family loved doing. As we used the cash in our envelopes we never used the change. 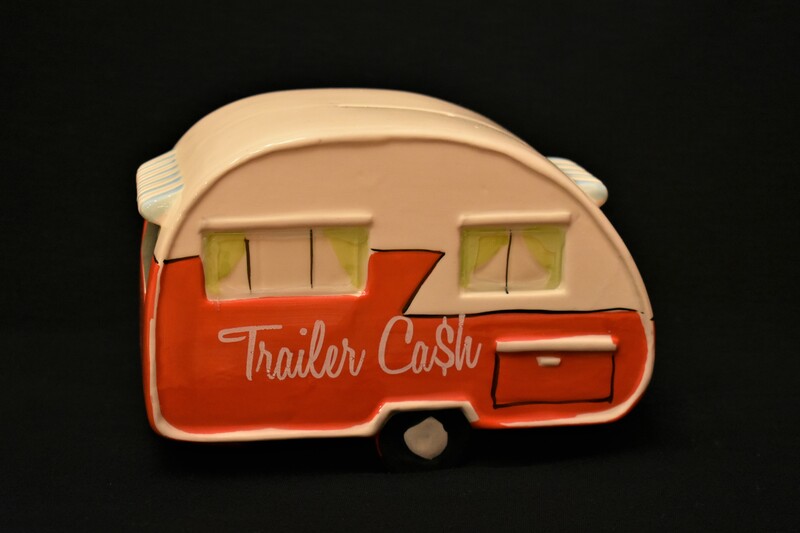 When we got home, we would put the change into our cute little “Trailer Cash” piggy bank. The kids would even remind us to not use our change, and they were so excited to put it in the bank. I even caught them a few times finding change on the ground and putting it in the bank. When the piggy bank was full we would sit down at the kitchen table to sort and count the money. We kept the money in a Ziploc bag. Fancy, huh? We would write on the outside of the bag the total and would cross it off and write the new total each time we added to the bag. A few days before our big trip, we went to the bank as a family and the kids took turns pouring the money into the change machine. We all loved watching the total go up, because we had already decided to use this money to pay for any extra activities we wanted to do. Knowing we had this “extra” money made it really easy to say, “Yes” to the kids when they asked to take a stage coach ride around Jackson, Wyoming. We also used it to pay for a Jeep Rental when we were driving Going to the Sun Road in Glacier National Park. (Watch for more on these coming soon!) Since the kids knew we only had a certain amount of money to spend on extras they were very selective in asking to do activities that cost money. Above is a picture of our piggy bank, but here are 2 similar ones I found on Amazon. We also took advantage of rebate apps for shopping. The first app we started using was Ibotta . This app gives you rebates on everything from groceries to medicine to clothes. On this app, you just choose your grocery store from a long list of stores and then select the items you wish to get a rebate on. Then off to the store you go. After shopping, all you have to do is verify your purchase by scanning the items in your phone and then taking a picture of the receipt. The next thing you know, the money for your rebates will show up in your balance. When you reach $20, you can have the money transferred into your Paypal or Venmo account. You can even choose to buy gift cards for restaurants or stores, such as Target. We will say that if you are not careful, you can get in trouble with this app. It is very tempting to buy things you do not need just to watch your earnings go up. Using the envelope system helped keep us on track with our spending by just purchasing items we would normally use. We were able to save over $250 from January until the end of May. This is one app I wish I had found much sooner. If you would like to start using Ibotta, here is a link to get the app. If you download the app, and verify your first rebate you will get $10 in your account and we will get $5. Remember you have to verify your first purchase to see the $10 show up in your account. 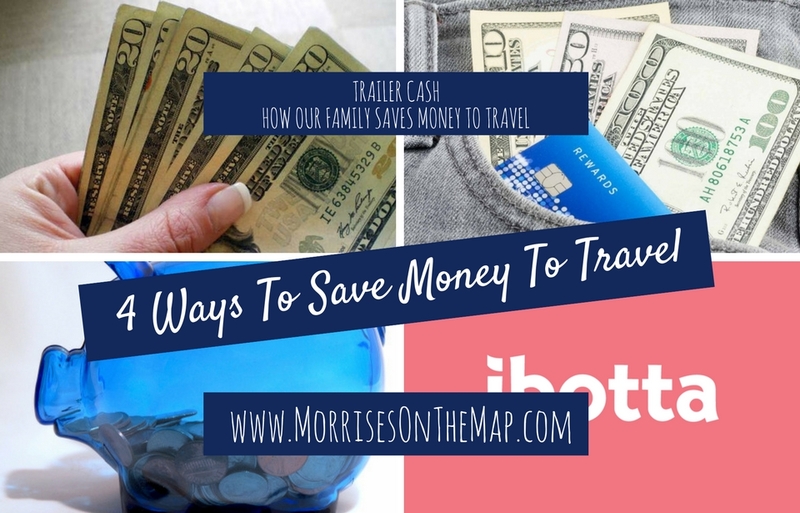 Be watching for more about the other money saving apps we used, but Ibotta was by far the easiest and most productive! Saving money to pay for your travels is not always easy, but if you are dedicated and have the family all on board the saving train, it can be very rewarding. The best part is it teaches our kids a life lesson to work hard, save, and then play hard. All of these things worked for us, in fact we have continued to use them to help pay for future travels.  I hope this helps you and your family get out on the road more. If you have a fun way of saving money with your family, we would love to hear it! Great tips! One way I save money for our travels is by selling things we no longer need on Facebook garage sale pages or Craigslist–last year that netted us almost $1,000 for the travel fund.